It's 24 December, 1999. 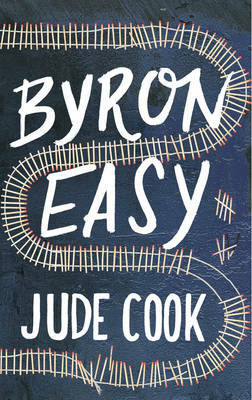 Byron Easy, a poverty-stricken poet, half-cut and suicidal, sits on a stationary train at King's Cross waiting to depart. He has in his lap a bin-liner containing his remaining worldly goods - an empty bottle of red wine, a few books, a handful of crumpled banknotes. As the journey commences he conjures memories (painful and euphoric alike) of the recent past, of his rollercoaster London life, and, most distressingly, of Mandy - his half-Spanish, Amazonian wife - in an attempt to make sense of his terrible, and ordinary, predicament...So what has led him to this point? Where are his friends, his family, his wife? What happened to his dreams? And what awaits him at the end of his journey? "Byron Easy" is an epic, baroque sprawling monster of a novel, and a unique portrait of love and marriage, of the flux of memory, and of England in the dying days of the twentieth century from a young British writer of exceptional promise.